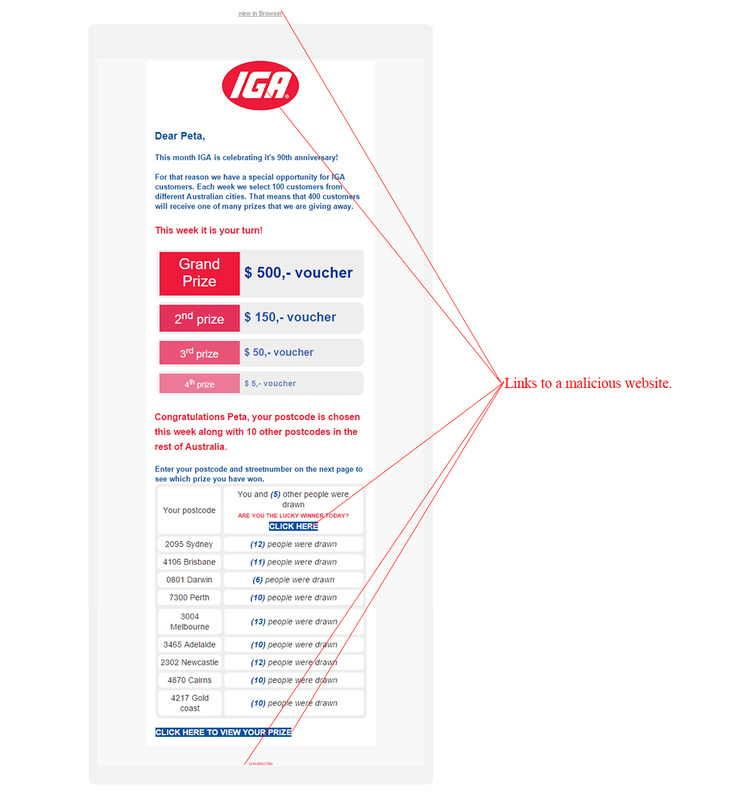 An email claiming to be from the IGA supermarket chain has been caught by MailShark spam filters infecting computers with malware. IGA stands for Independent Grocers Alliance and provides groceries and general products globally. This email is slightly different to the normal gift voucher scam so keep reading to find out more and delete it from your inbox if received. Figure A is a copy of the email in question. 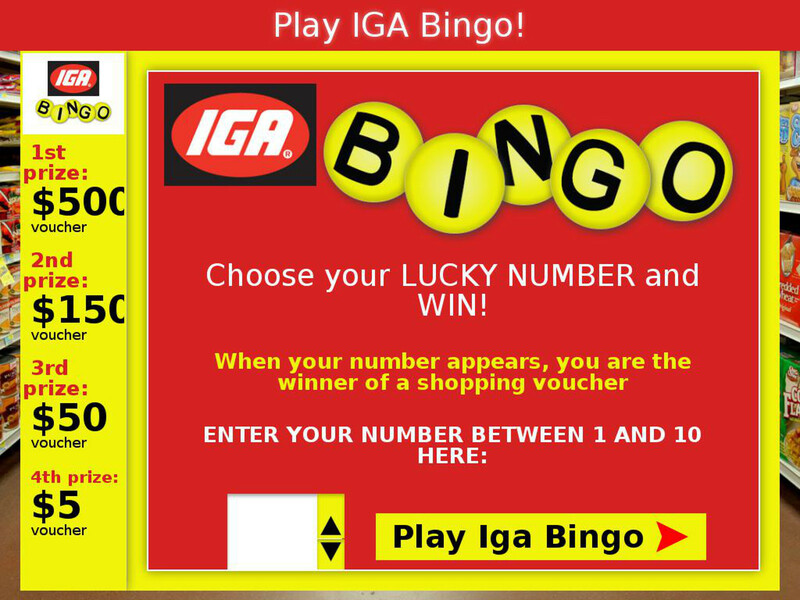 It is branded to fit the IGA brand and uses a personal greeting to instil confidence. The subject line reads “[name], IGA has a surprise for you!” which is used to intrigue attention. The sender is shown as “Jasmine Condon”, which could be an attempt to make the email appear to be from an official representative, however, when looking at the email address it is in no way associated with the official IGA website and is clearly spam. This email has a good spiel to explain the prizes and states this week is your turn because your postcode has been chosen. It even goes on to show how many people won from other post codes around Australia. All of this is fake and is a more advanced scam tactic than the simple ones commonly used in these types of email scams. Notice the several call-to-actions which are pushing you to click through to a malicious website. Figure B is a safely captured screenshot of the malicious website you will land on if any links within the email are clicked. It is over the top in terms of graphics and design with a bright red background. It asks you to choose your lucky number and win. This is a tactic to get you to click through on the website which will then lead to a dangerous malware infection on your computer. Do not click any further if you reach this page and delete the email immediately. We highly recommend running your anti-virus and anti-malware software if you have accidentally clicked through. These voucher giveaway email scams are extremely common and are only becoming more creative in their scam tactics. Stay safe and delete this email along with any similar emails that reach your inbox.